We all have names. Our names have unique meanings that are important to those who gave them to us. A name represents more than life, it represents a deep meaning to the person carrying it. 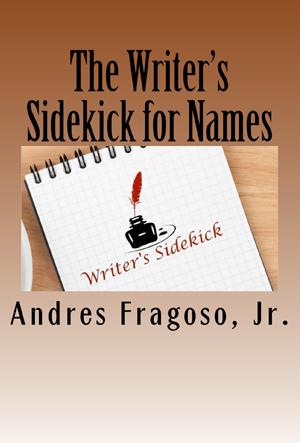 Your characters are also defined by the name you give them. Names are what gives your character’s character. They define your protagonist and your antagonist. The name you give a character will ultimately define them through the entire story and be either memorable or forgotten by your readers. Readers remember names that are rare, exotic, and memorable. This notebook will help you keep track of your character’s names and in what story they were written for. You no longer have to repeat a name.